Are all large corporations self-interested capitalist machines? Not quite, as it turns out. You might want to reassess your view of corporate America when you consider that charitable donations and fundraising is a standard part of a Fortune 500 company’s activity. Those banks who are ripping everybody off? What about those pharmaceutical companies who place profits before patient health? Well, they’re amongst the biggest givers. Some see it as giving back to the community while others consider it part of a cynical PR campaign to clean up their image amidst criticism of dubious practices. You be the judge. Either way, here are Americas 25 most generous companies by dollar amount given away to charitable causes. From # 25 (least charitable on our list) to # 1 (the most charitable) these are America’s most generous corporations (based on information released and assumed). Cisco has its own Foundation, which covers education, women’s’ empowerment, disaster relief, and healthcare through dedicated programs. 2012 represented a 97% increase in charitable giving to its foundation, with Cisco providing funds of $43 million. The largest bank until the 2008 financial crash, this bank was a huge global banking enterprise. Despite having to be rescued from bankruptcy, it is still a cornerstone of the financial world. Despite slashing their workforce by 1/3 since 2008, Citigroup still managed to donate $144.6 million to charitable causes. And it’s not just money that Citigroup contributes; Citigroup established a foundation called Pathways to Progress to help young people develop the skills needed to succeed in the 21st-century economy. Some observers consider the figure of 0.7% in charitable donations to be a little on the low side. Bearing in mind what Citigroup has endured over the last few years, however, it is a wonder they can donate anything at all. This bank may have played its part in the 2008 crash, but it seems to be doing something about it. In 2012, Wells Fargo donated 1.7% of profits to worthy causes, namely helping poorer individuals and families getting on the housing ladder. Focusing on low-income communities, this bank has partnered with Neighbor Works to assist with down payments to the tune of a cool $77 million. Amount donated in 2013: ? No exact figures for this company but what earns it a place on this list is that it not only donates 1% of financial resources but also 1% of employee time and 1% of the company’ product. This means that charitable giving is not only a standard feature of its operations but goes beyond simple cash donations and provides its staff as manpower to volunteer. The youngest company on this list, they have already donated 1 million hours of staff volunteer time. There are plenty of companies who give more, but with $147 given away, or 5% of profits, Target is certainly one of the more generous US corporations. And it’s not just cash target helps with; Target runs volunteer programs whereby staff are paid to volunteer in local communities. They provided 1 million volunteer hours in 2013 alone. This stalwart and icon of American industry is one of America’s largest companies and one of the most generous too. In 2013, GE donated $157 million, representing 0.9% of profits. This huge company has interests across a broad range of sectors, from appliances, oil, water, software, engineering, medical devices, automotive industries and more. In business since 1892, GE is a real American success story and has endeavored to give something back. Capitalizing on its connections in the medical industry, GE runs a program called Health Globally, which aims to provide medical treatment and education to the most vulnerable people in Africa. It also established the Developing Futures in Education initiative, which seeks to improve the US public schooling system by assisting students and teachers. GE has donated over $1 billion dollars in the last six decades. Who says capitalism is evil? Another major US bank, Bank of America lost money for the 2011 year but still managed to give away $183 million to worthy causes. Selflessness or bad business, we cannot decide. Either way, their partner charities are grateful. BAC’s focus is on community development and provides funding and sponsorship for artistic, cultural and sporting initiatives and events. Another American titan of industry, IBM has been around for over a century and its contribution to the American economy is undeniable, employing 435,000 people (as of 2012), making it the second largest company by workforce. IBM also seems to have developed a strong, generous streak since established in 1911. In 2013, it contributed $204.9 million to worthy causes, representing 1.04% of pretax profits. Part of IBMs charitable giving comes in the form of its Smarter Cities program, whereby $50 million is used to assist urban areas in managing local issues like sustainability, finance, safety and local services. IBM also supplies municipalities with its employees, who act as expert consultants. IBM also lends its staff to charitable projects in Africa, including the Pink Ribbon Red Ribbon initiative. The company behind Pepsi, Mountain Dew, and Lays chips, PepsiCo is the second-largest food and beverage company in the world. Much criticized for its unhealthy products that are high in sugar and fat, PepsiCo faces an increasingly challenging PR environment. It shouldn’t come as a surprise, then, that PepsiCo engages in significant charitable and community work to help clean up its image. PepsiCo partners with the Earth Institute at Columbia University to fund its sustainability efforts, namely supplying clean drinking water to the poorest parts of the world. It also helps support Matt Damon’s charity, H20 Africa. For a company that contributes so significantly to health conditions like obesity and diabetes, their efforts to help the starving and malnourished may seem very cynical, but spending $100 million on worthy causes is not to be sniffed at. This energy giant has extensive operations in Africa, where it contributes to many charitable schemes. It contributes to the Niger Delta Partnership Initiative Foundation, giving a total of $25 million through to 2016. In 2013, Chevron also donated $93 million to education programs worldwide. The world largest investment bank, JP Morgan is a Wall Street behemoth and lynchpin of the global financial system, having rescued several failed banks in the 2008 crisis. Such banks are currently popular targets for criticism for managing money irresponsibly and causing the financial meltdown. When they’re not bringing the economy to its knees, however, investment banks make a lot of money. As a result, these banks tend to be large donors to charity and JP Morgan is no exception, having given $210.9 million to philanthropic causes in 2013. NeigborWorks, American Red Cross, and CARE are amongst this bank’s biggest recipients. It also contributed technology consulting to charities and enabled soldiers in Afghanistan to video call home for free. 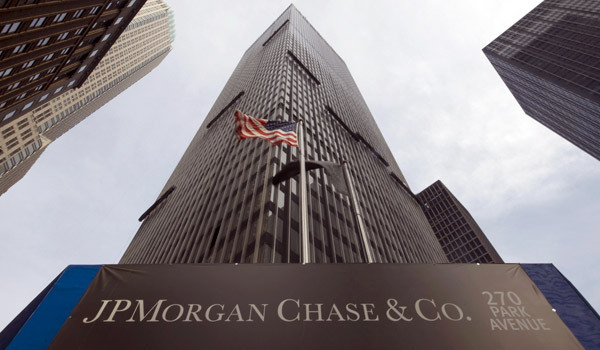 Giving 1.2 % of its profits to charity, are banks like JP Morgan so bad? You decide. This much-maligned energy giant is a frequent target for its perceived mistreatment of nature and abuse of natural resources. They do have a generous streak, however, donating $262 million in 2012 – with a focus on combatting HIV and malaria in Africa. Other programs include employee community volunteering and women’s education. 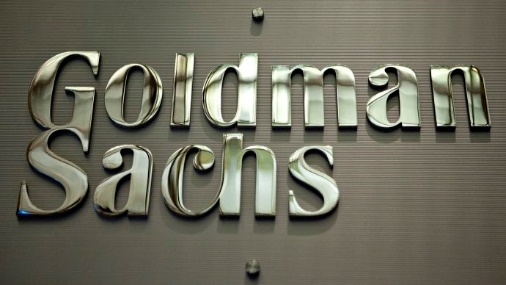 Goldman Sachs, a byword in some circles for institutionalized financial corruption. A real money making machine, G.S is often criticized for making staggering amounts of money while contributing little to the economy, such is the nature of its core trading business. But the upside of making vast sums of cash? The more you have to give away. G.S has several philanthropic initiatives, including 10,000 Women, which assists women in developing countries establish themselves as entrepreneurs by providing mentorship, funding, and networking. A noble endeavor indeed. Furthermore, G.S has contributed over $1 billion to charity since 2008. Does it atone for helping to nearly ruin the US economy? You be the judge. This retail giant contributed 4.5% of products to charity in 2012, in both cash and its products. Walmart’s philanthropic efforts focus on combatting hunger and bringing about healthier eating through educational programs. Other initiatives include helping 4,000 children suffering from malnutrition in Mexico. Given Bill Gates’ global charity efforts, it will come as no surprise that Microsoft is engaged in major philanthropic ventures. Their in-house Giving program encourages employees to donate and matches all donations up to $15,000. Microsoft also donates computer equipment through various programs and helps disaster relief by providing the technology to respond faster and more efficiently. Johnson and Johnson represents a massive leap in the charitable stakes, giving more than $700 million more than its nearest rival. And it’s not because they make so much more money, but because they choose to give away a whopping 6% of profits to worthy causes. Dedicated to reducing its carbon footprint, J&J is committed to various suitability programs, the success of which have earned it 3rd place on Newsweek’s Green Rankings. Projects include the Climate Northwest Initiative and the EPA National Environmental Performance Track programs. J&J also operates the largest solar panel initiative in Pennsylvania. Not bad, eh? Donating 10.9% of profit in 2010, Kroger makes significant contributions to hunger and disaster relief. This retail giant hasn’t released its charitable giving figures recently, but we do know they donated 200 million meals to the hungry in 2012, representing more than $250 million worth of their products given away annually. Abbott Laboratories spent a massive $732 million in 2011, across a range of highly targeted projects including free health clinics in Illinois, maternal mortality in Afghanistan, healthcare partnerships in Tanzania and nutritional education initiatives. This internet monolith needs little introduction. You would expect a company of this size and public profile to engage in significant philanthropic work, but perhaps not to this extent. Giving away $1 billion in 2012, representing 9.3% of profits, Google is no doubt a generous and socially conscious corporation. 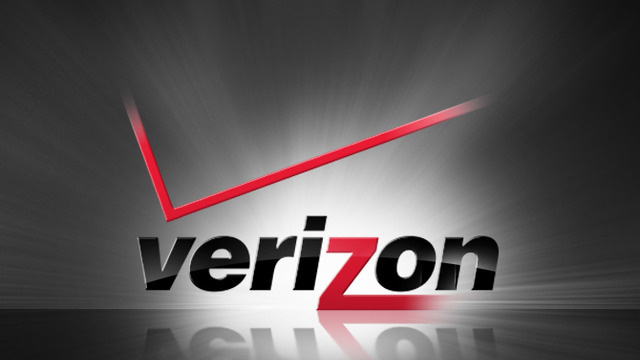 The figures are unknown or this telecommunication giant, but with revenues of $127 billion and of the largest workforces in the world (177,000) its gift matching scheme probably makes it one of America’s top givers. Its volunteer scheme has clocked up 6.8 million hours and the company has donated to 54,000 different charities. The total amount donated by Prudential pales in comparison to the likes of Johnson and Johnson, but as a percentage of profits, it is huge. Prudential Financial gave 8.9% of its pretax profits to philanthropic causes. Their charitable initiatives include developing their hometown of Newark, a city that has suffered a significant decline in recent decades. They have also funded the teacher’s Village program, which provides affordable housing for public school teachers to attract educators to the area and improve the public education system. Cash and products totaled, Oracle was a huge giver in 2011. Their efforts focus on education, the environment, and community development. They run an in-house donation matching scheme, raising more than $23 million in 2014, showing that both employer and employees are keen to make a difference. Oracle also fund college scholarships for minority groups. Amount donated in 2012: ? Apple does not release their philanthropic spending, so it is impossible to accurately rank this world leading technology company. However, with massive revenue of $233 billion in 2015 and a socially minded millennial workforce, it is likely that Apple is giving away large sums of money to charitable causes. 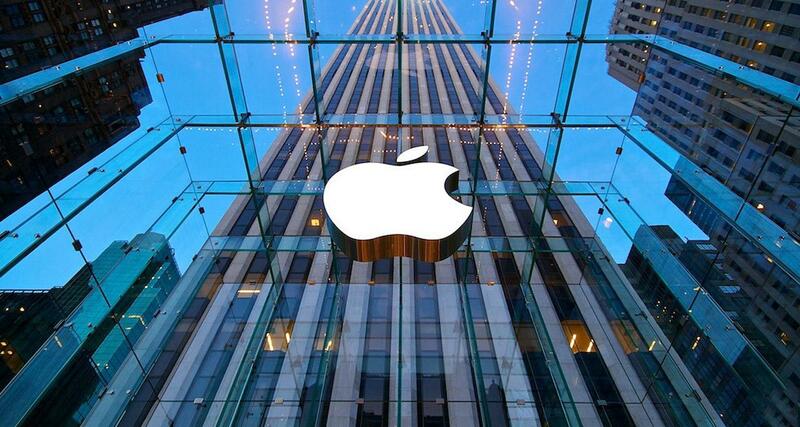 We know Apple runs a gift matching scheme and with 80,000 employees, the potential is vast. It has donated over $78 million dollars to charity through this initiative alone. Is it a coincidence that the much maligned pharmaceutical companies are amongst the biggest givers to charity? Probably not, but you cannot deny the tremendous amount they give away. Their vast charitable efforts cover many different areas, many of which are in Africa. Pfizer supports initiatives that combat blindness, HIV/AIDS, malaria and more, not mention emergency disaster relief. Make no mistake, $3.05 billion, representing 19.4% of its pretax profits is a huge amount to spend on philanthropic programs. America’s 2nd most generous company, are Pfizer helping to define a new paradigm in corporate responsibility? Claiming the top spot as America’s most generous corporation is Merck. A giant pharmaceutical company, Merck is one the biggest companies in the world. Both concerning amount and percentage of profits given away, Merck is by far the most generous of any US corporation. $1.86 billion is an enormous sum but what’s even more impressive is the truly staggering percentage of profits that figure represents: 33.5%. Make no mistake – that is stratospheric. It spends this vast sum across health, education and community projects as well as donating many of its products to the needy. Breast Cancer Research Foundation, Habitat for Humanity, Scholarship America are just a few of the charities they assist. Is all this philanthropic effort purely altruistic? Probably not; it is no coincidence that 7 out of 10 companies on this list are from the two most unpopular industries (banking and pharmaceuticals).Their charitable efforts are likely a way to help combat the public’s often negative perception of their respective industries. But at the end of the day, $1.86 billion can do an awful lot of good, regardless of the motive behind it and for that reason, Merck can legitimately claim to be America’s most charitable corporation.